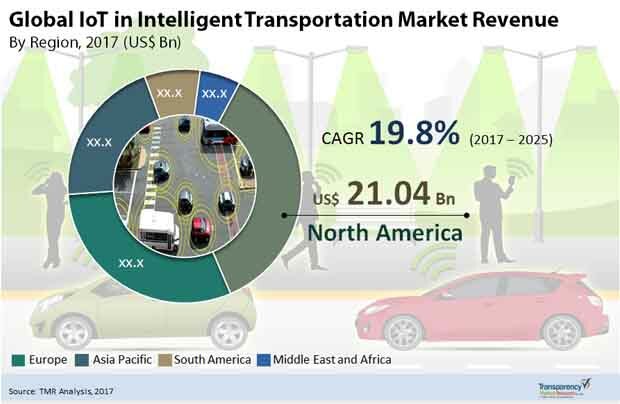 Demand for fleet management solutions to improve freight services is also bolstering the IoT in intelligent transportation system market, globally. These solutions help in managing commercial vehicles by tracking them, reducing fuel consumption, and keeping a tab on drivers. Sharp drop in price of sensors is predicted to have a positive impact on the market too, in the upcoming years.